This year there seems to be a trend regarding books about schizophrenia. In 2015 alone I’ve read four books featuring schizophrenic main characters. I don’t think this is a bad thing, quite the opposite. I think for too long mental illness has been largely ignored, by both society and in fiction. I’m glad that publishers are filling this void and publishing wonderful books like Calvin by Martine Leavitt. Calvin follows the story of seventeen year old Calvin who shares a lot of similarities with the famous Calvin & Hobbes comic strip. Both have best friends name Susie, and both have companions named Hobbes…although Calvin’s Hobbes may not be entirely real. In order to cure himself Calvin sets off on a winter trek across Lake Erie to track down the author of the comic Bill Watterson. I loved Calvin. He came across as such a real person to me. He understood that what is happening to him, and his thoughts, are not real but he can’t stop his delusions from taking over. He was a character you really wanted to be ok. I also liked how much he cared about Susie and Hobbes. Part of the reason I loved Calvin so much was because of how the author handled Calvin’s schizophrenia. Martine really took the time to explain how this mental illness changed Calvin’s life. I especially enjoyed how she explained things as being either real or true because, with the disease, Calvin is never really sure if he just thinks something is real or if it is a true thing. This novel was written in a unique writing style. It was almost like a cross between a letter and a screenplay. It gave the novel immediacy and made the read really quick. 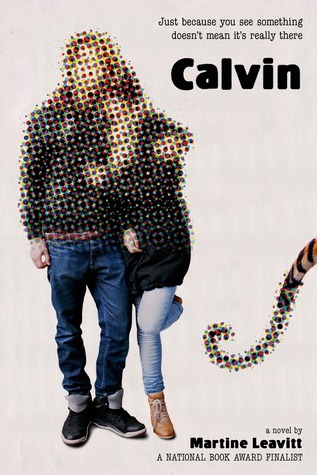 Overall, I really enjoyed Calvin. The author handled Calvin’s schizophrenia in an honest and forthright manner. The writing style made it a unique and quick read. This novel has made me a Martine Leavitt fan and I can’t wait to read her other works! Oh my god, I had no idea this book was alluding to Calvin & Hobbes! (I don't think I've ever read the synopsis before :P) That makes me so interested to see how it's incorporated and how Calvin's schizophrenia is portrayed. I had no idea of this book's existence, but I'm adding it to my TBR. I really want to read this book! I sounds fantastic! Seems like a must-read book. I am totally including this one in my list of books i am going to read this year. Thank you for posting, your reviews are amazing! A good author I like his work, I often watch it. To all this I can add here a good service for the implementation of EssayWritingSolutions and tasks for students.